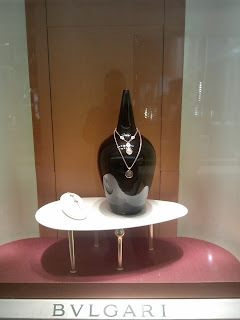 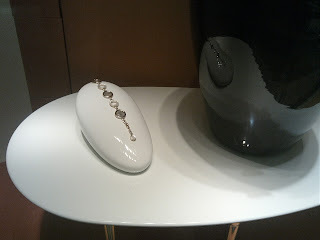 Another version of Bulgari window display that features a simple vase or pot can be seen at Plaza Indonesia. The vase is now coming in dark brown color and still stands in a white table. 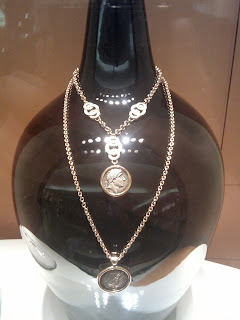 This minimalistic style property is really perfect to display the necklace collection that is inspired by antique Roman coins.